Office parties are common as a form of social recreation for the employees of different business industries. This occasion can be for Christmas parties, Halloween parties, or small anniversary parties within your company. 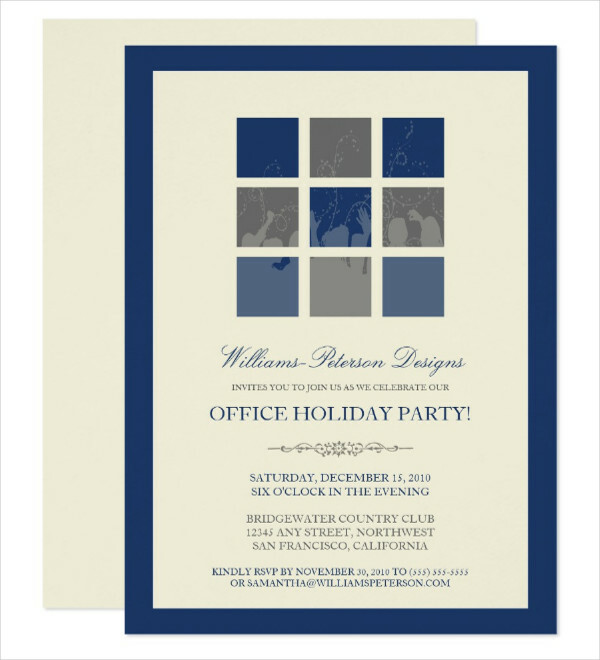 Invite your employees to join you in celebration with a Free Invitation Template you can customize to send out. 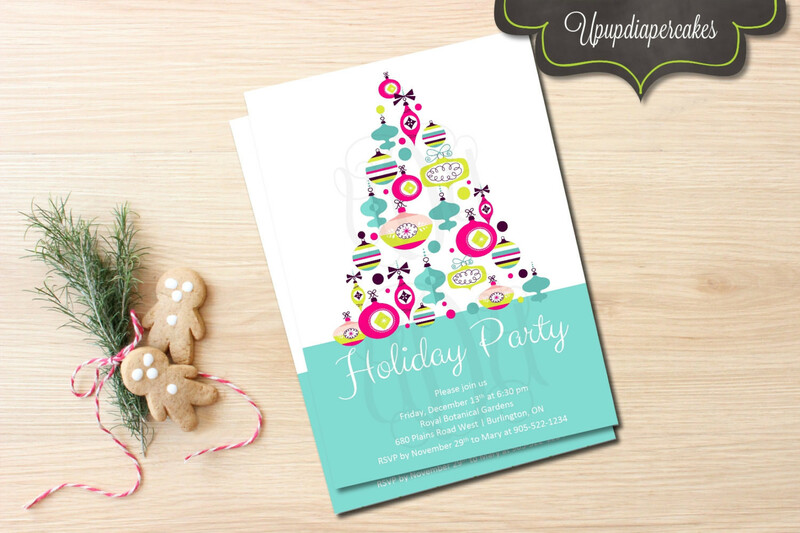 There are different invitations that you can find online. 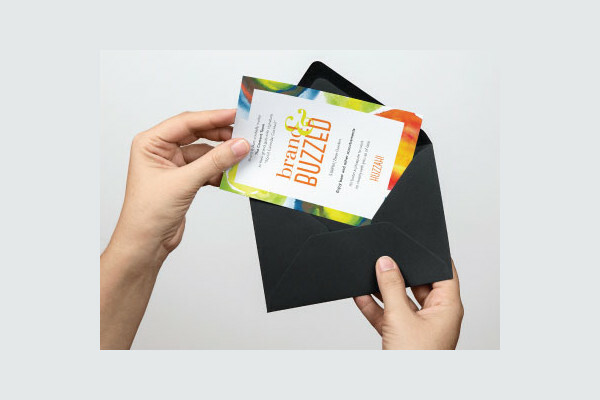 Some invitations are generic to any occasion, while others are for specific celebrations. Find the best one to use by searching for specific keywords like “birthdays, corporate event, and retirement parties.” You can download these invitations and tweak them to your liking. 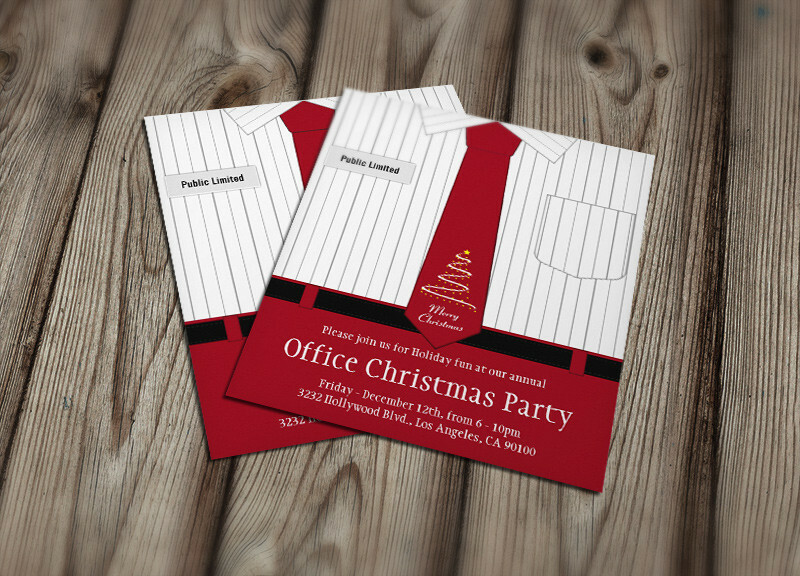 What to Write in Your Office Party Invitations? 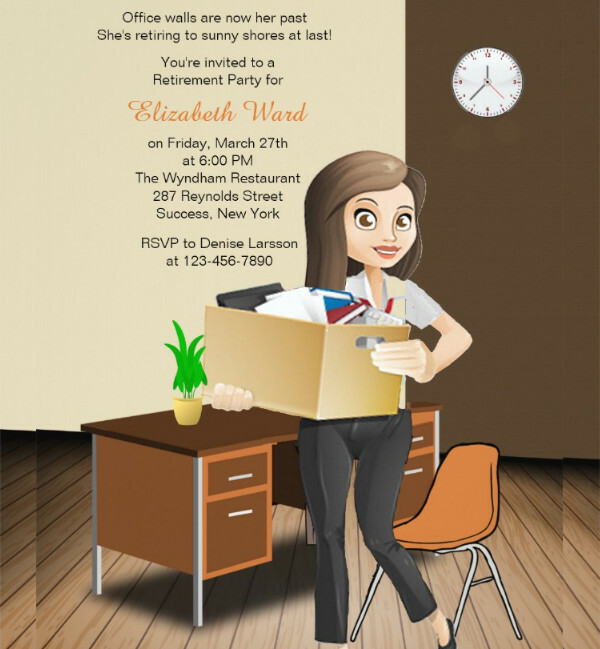 Specify who is celebrating if the party is for an employee’s retirement. Otherwise, you can simply state the company’s name. Aside from that, you also need to write down the name of who you are inviting. This can be done on the envelope or you can write it on the invitation itself. Write down the occasion visibly in front of the invitation. For example, you can indicate, “25th Founding Anniversary,” or “Retirement Party” depending on the celebration you are hosting. Write the complete details of when the celebration would be. Include the time of the event, whether the start of the party or the whole duration of the program. Give everyone the heads up weeks to the party so they can prepare. Include the complete address of the venue, regardless if it is in your office or you are hosting it some place else. If you must, add a small map for clarity. Keep your fonts legible to see by everyone. Choose colors that will contrast your background and ideally make the texts clearer. The font styles should be appropriate for the occasion, too. You can refer to font guides to know different styles. 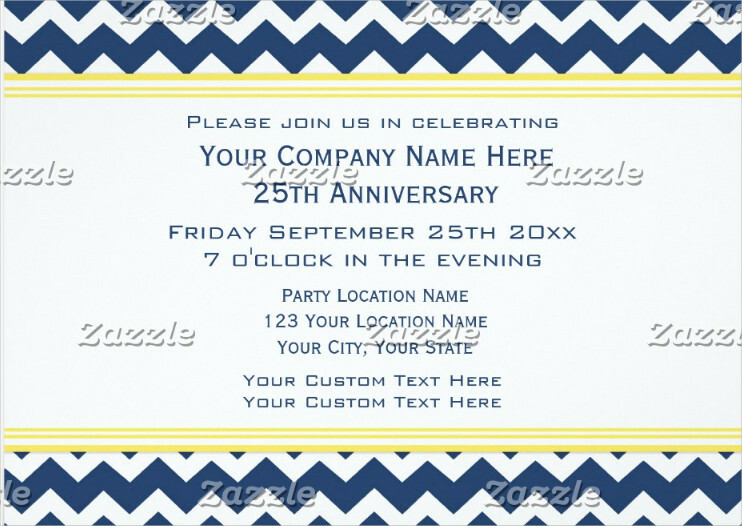 Write the correct details on the invitation. Check the final layout and content before printing to make sure that there are no unintended changes. Don’t overdo the design of your invitations. Choose your designs wisely from the different templates you can select from. One trick is to find specific templates to use for the occasion. 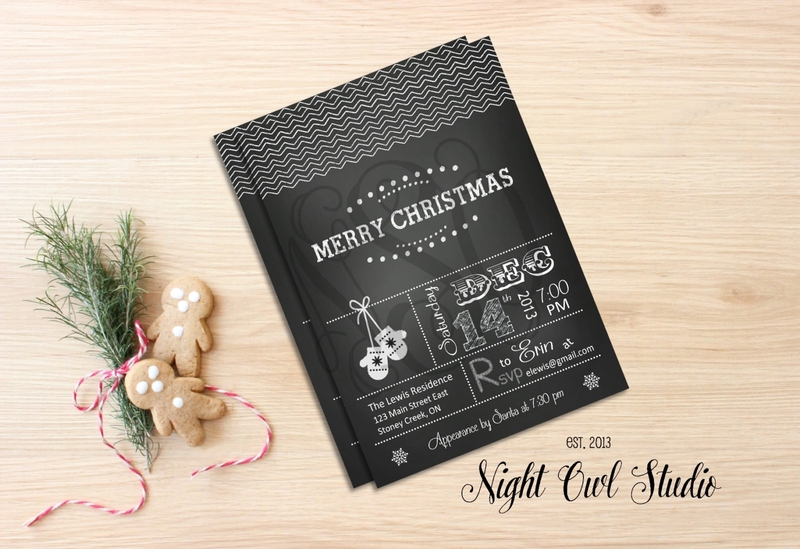 Christmas party invitations can have a snow theme while anniversaries can be minimal or formal. Choose good materials to use. You can even be resourceful on which type paper you want to print it on. 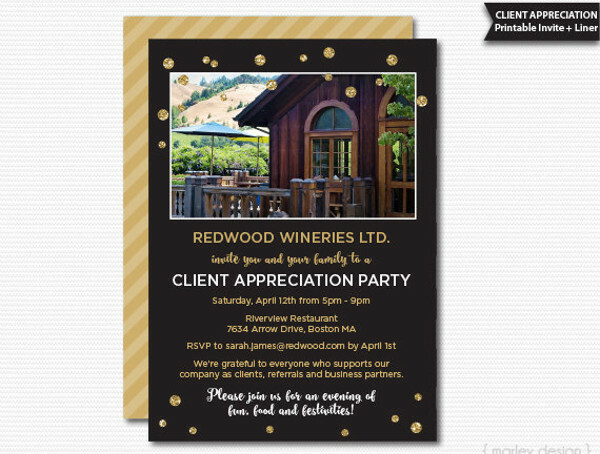 For some offices, they only send out the invitation design via emails which eliminates the expense of printing. Enjoy a good party with the presence of selected guests to be with you. Make your own invitation and remember the tips and guidelines above.